Reduced temperature sensitivity of quantum dot lasers enables higher temperature operation than conventional lasers. 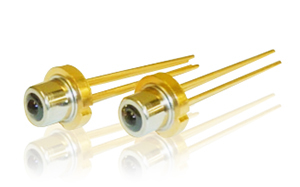 QLF1335 series are temperature-resistant 1300nm wavelength FP lasers for >100°C operation. The laser is mounted in a TO-CAN package. These lasers are suitable for a variety of applications such as data communication and sensing in harsh environments, such as deserts, plants and oil and gas exploring fields.